bunny mama's corner: I love charity shops! I really do. I would even write it like these: I LOVE LOVE charity shops. And not those ones that look nice and tidy, almost like normal shops, but those, where it's all a bit dusty, some things are hidden in the boxes under another ones and you need to search and dig to find the treasure. As those are the places where you can really find some treasures. Like once I found a little embroidery book from 1920-1930s, and then a knitting magazine from 1955 with our city view on the front cover. This Saturday, as soon as my husband left to work I decided to treat myself with a new visit to my favourite charity shop, took Little Man and after a 20 minute walk we were there. And I'm sooo glad we came! There are 3 designs in one and six in the other in different sizes. Perfect for my charity projects! 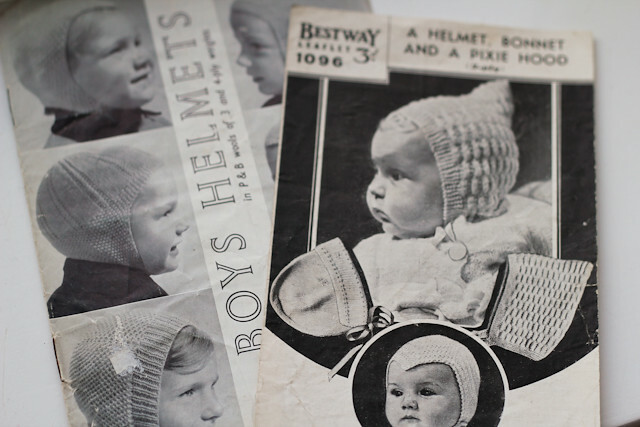 And I just love old knitting, crochet and embroidery brochures, they feel retro. Guess how much did I pay for them? 20p each! My next found treasure was an embroidery. 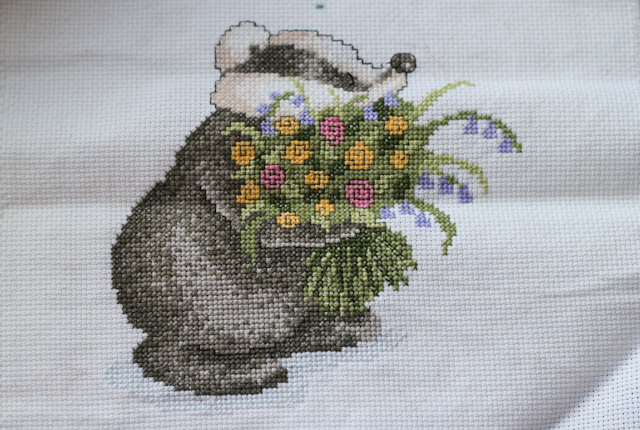 My mum and grandma do cross stitch and I know how much time does it take. Plus the money for all the materials. So when I saw the 50p price on this one I felt sad. Even the blank piece of canvas would cost more than that. So a person who put that price didn't evaluate someones hard work put into this embroidery. I just could not leave it there and had to take it home with us. I guess it could become a centre of a cushion cover for Little Man's room. Then I found a book about different kinds of embroidery. Probably I will try something from it this year as one of my plans for 2013 was to make some embroidery. 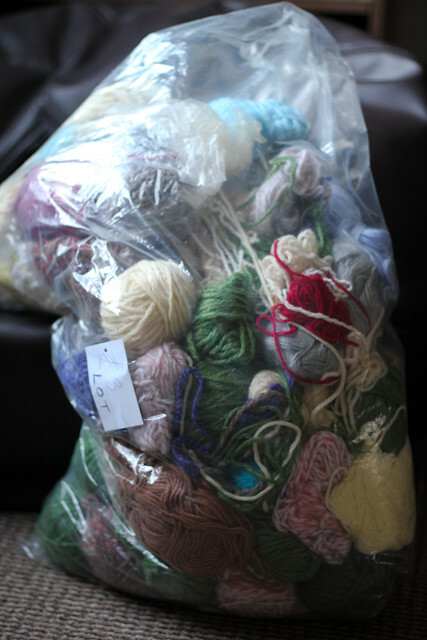 a huge bag of different yarns! It really is big! And can you see the price on the photo? It's £3! I was sooooo happy when I found this! So much yarn for my charity projects for babies! Now you see why do I love charity shops so much. Sometimes they can make you happy for almost nothing. So if you never tried them you should definitely do! Hope you'll find some awesome things for yourself!